It's the first Wednesday of the month! 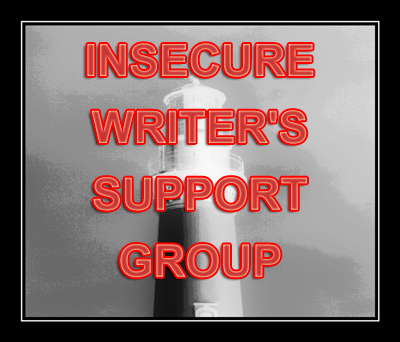 That means it's time for the Insecure Writer's Support Group! Have you ever struggled to decide if you should spend the day writing ... or cleaning the house, paying bills, spending time with family, or some other activity? I could spend all day every day writing and revising and never come out of my office. But there has to be a balance somewhere, somehow. So instead of writing or revising this week, I'm spending time with family and friends ... taking my daughter to college and getting her settled into her dorm. Writing will actually wait for me. It will be there when I get back. But my daughter won't. How do you balance your writing goals and other priorities? I try to balance it all. I'll tell myself I'll write for an hour, then do some housework... but that hour always gets stretched, until I realise I haven't left my chair all day! I've learnt to only write once all the other stuff is done. And I've also learnt to happily put the writing away if a family day out is on the cards! That hour DOES stretch, doesn't it? Good for you! Keep it going. Keep it going until you can't write anymore, until you simply MUST eat something/use the restroom/take a walk or do the inevitable everday life responsibilities. That writing time is gold, though. And you can never turn down gold. I make lists and have goals for certain projects, but I also have two children that require a lot, so it's a balancing act. If I can get a little writing in nowadays I consider myself lucky. Yep, sometimes it takes a back seat to life, but like you said, it's still there waiting for us when life cools down. This was actually going to be a recent post (haven't put it up yet... still working on it) but I struggle with that very thing. Like you, I could spend all day everyday with my laptop, disappearing from this world only to enter the one I create. But am I sacrificing time with friends/family? Am I sacrificing life? How do you decide on the balance? It's tough. But I will say, I never let something like housework stop me. Those dishes can wait. Yes, I have! It's a struggle every day. Should I keep working on my writing, blog posts, marketing, etc. or sweep and mop the floors. I have to admit that I have put off doing chores to get writing and other matters done first. I don't think I'm too good at balancing. I am either focused on writing or focused on other things. How do I balance? By sometimes falling over. :) It's really tough to squeeze it all in, so I try to do at least one small thing a day that gets me closer to that dream.